When I learned that one of my favourite Canadian jewelry brands, Foxy Originals, created a teacher-inspired collection, I just knew I had to share. A love of teaching is something I’ve always held close to my heart, (I originally went to school to be one, after all!). I think it’s such a kind and meaningful gesture to give back to a teacher who’s made a difference in your year (or perhaps your life). Foxy Originals have created 2 necklace designs (both of which come in gold or silver), that arrive ready-to-gift on a card that reads “Live. Love. Teach”. The Inspire Teacher Necklace reads “Inspire” one one side of a circle charm (1.38″ diameter), and “Live Love Teach” on the opposite side. This necklace comes on a 17″ chain is just $20.00 Cdn. The second necklace (and my personal favourite) is the Teacher’s Charm Necklace. The front of the charm (1.25″ x 0.75″) reads, “It takes a big heart to teach little minds”, and the back reads, “Live Love Teach”. Also on this necklace is a tiny heart charm, and small beaded charm. This necklace is also on a 17″ chain, and retails for $25.00 Cdn. Both of these necklaces are made from fine pewter, and are then plated in gold or silver. Every item Foxy Originals makes is lead-free and is produced locally. 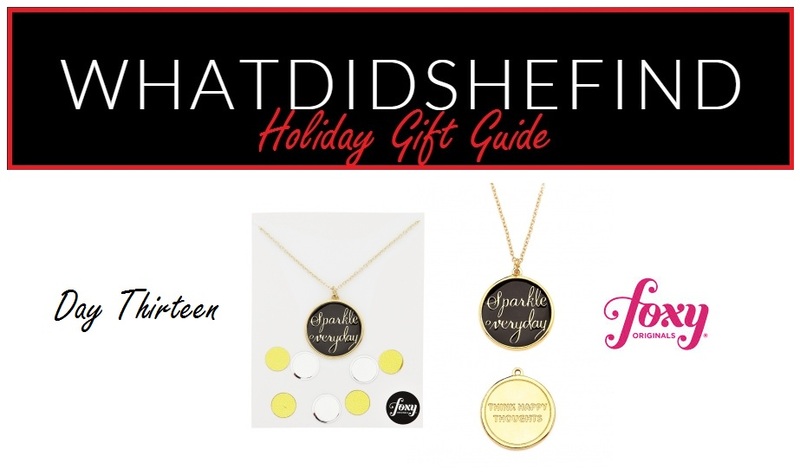 Both of these necklaces are affordable, meaningful, and versatile gift ideas (you can wear each of them 2 ways!) that a teacher will truly appreciate and use. They’re also great for dance teachers, singing teachers, and beyond! Foxy Originals has generously offered to host a giveaway of their Teacher’s Charm Necklace in gold to one of my readers! To enter, simply click the “a Rafflecopter giveaway” link below and follow the instructions. This giveaway is open to residents of Canada only, and will close on Tuesday, June 14th at 11:59pm EST. Good Luck! We all remember how much it meant when our friend chose us to wear the other half of their BFF bracelet, necklace, or key chain back in the day. Why not bring that feeling back? These adorable Side by Side charms from Alex and Ani are a modern twist on the BFF bracelet. Why otters, you ask? Otters actually hold hands when floating in the water to prevent themselves from drifting apart (que the “awww”), and are therefore a symbol of unity and friendship. Share one with your BFF and wear these charms as a reminder to, “Bask in the glow of good times and make the best of what floats your way.” (Alexandani.com) You can purchase this set in either a Rafaelian Gold or Rafaelian Silver finish, and they are expandable from 2″ to 3.5″ in diameter. Who will be your significant otter? Sorry, couldn’t resist! Missed the first 9 days of the Gift Guide? Check them out below! Everyone is affected by breast cancer. Whether it’s a friend, family member, or a personal fight, breast cancer is the 2nd deadliest cause of death for women around the world, and this needs to end. With Pink October (for Breast Cancer Awareness) right around the corner, it’s the perfect time to don pink and show your love and support. Enter Glamulet, a company that launched in 2014 and prides itself on making high-quality, fashion-forward, and affordable jewelry and charms. During Pink October, Glamulet will donate 50% of their sales of pink charms to charities that support breast cancer. Glamulet’s goal is to ensure that by 2050, no more lives will be lost to this cause. There are a variety of charms in the collection, but some of my personal favourites are the “Pink Ribbon Rose Gold“, “Pink Enamel Ribbon Heat Pendant“, and the “Bright Pink Paved Crystal Charm“. I love that these charms can be worn alone or mixed-and-matched; you can even purchase pre-made sets. These pieces are a fun and fashionable way to help support the cause and raise awareness. What charms will you choose to show your support? Let me know in the comments below. *This post is powered by BrandBacker. All thoughts and opinions are honest and my own. Over the years my Foxy Originals collection has continued to grow, and this piece, (the Austin Necklace in Silver), is by far one of my favourites. 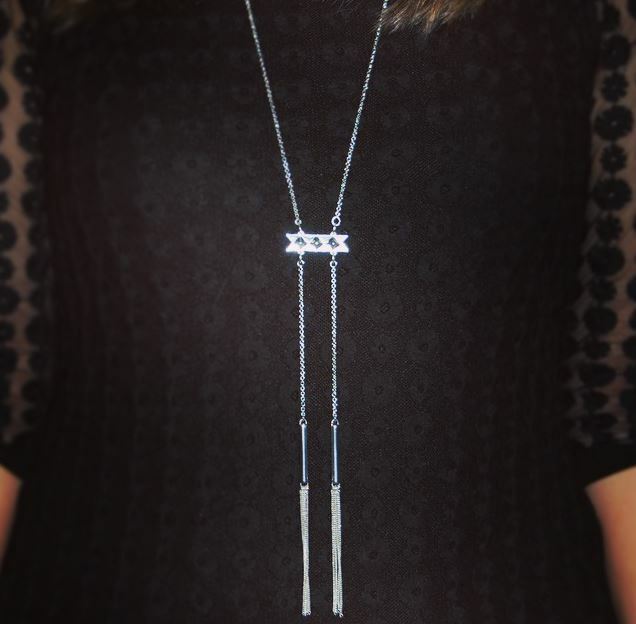 This necklace features a handful of recent trends: tassels, studs, bars, and a long-length lariat-style. Made of pewter and plated in silver, (you can also purchase this necklace in gold), the Austin Necklace is high quality, affordable, and is extremely versatile (dress it up or down). 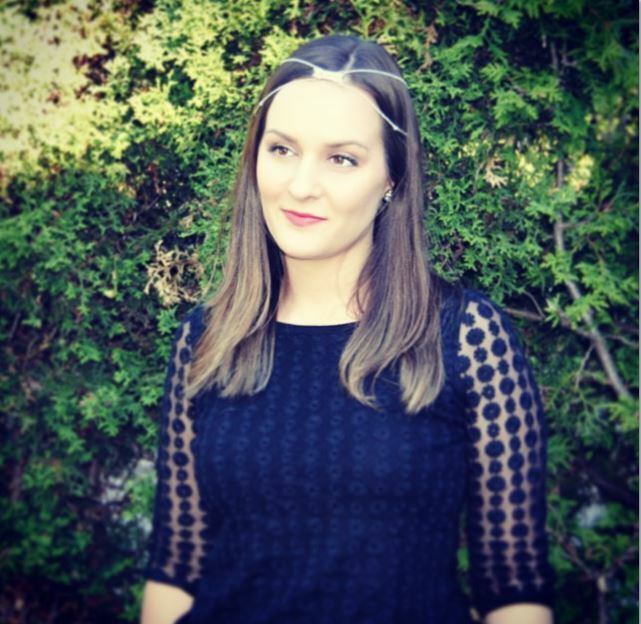 I even tried my hand at wearing it as a headpiece (using three bobby pins), shown below! I’ve been a longtime fan of Foxy Originals jewelry (I also included them in my holiday gift guide). All of their pieces are locally designed and produced in Canada, and can be purchased online or in hundreds of stores internationally (they are also a celebrity favourite!). Do you own any Foxy Originals pieces? Let me know in the comments below! Foxy Originals “Juliet” Bracelet Giveaway! Want your chance to win this gorgeous Juliet Bracelet in Silver by Canadian jewelry company Foxy Originals?! Simply follow the directions in the Rafflecopter link below to enter! Entrants must be a resident of Canada or the United States, and be 18 years of age or older to enter. This giveaway will close on May 23rd at 12:00am EST, and the winner will be contacted and announced on May 24th. Good Luck and don’t forget to check back next week to see how I style a Foxy Originals piece of my own! These gorgeous, jewelry inspired tattoos by Flash Tattoos are the perfect accessories for your holiday outfits, summer vacations, and beyond. Temporary, (lasting around 4-6 days), each package comes with 3-4 sheets of metallic tattoos for around $25.00 US. Shown above is the “Goldfish Kiss H2O” collection. For each purchase of this set, Flash Tattoos donates 5% to Waves for Water. Be sure to check out all the other fun collections as well (I love Sofia and Dakota)! I’ve been a long-time fan of Foxy Originals, not only because they are a local, Canadian company (sold in many other countries as well), but also because their products are fun, affordable, and well-made (not to mention favourited by a ton of celebrities). This adorable “Sparkle Everyday” Necklace is part of Foxy Originals’ RSVP Collection, available in silver or gold, and retails for $24.00 CDN on the Foxy Originals website. With a 17.5 inch chain, and a 1″ charm, my favourite thing about this necklace is that both sides of the charm have a saying on them: “Sparkle Everyday” on one side. and “Think Happy Thoughts” on the other. I purchased mine in gold and it arrived beautifully packaged, confetti and all! Love is pretty much synonymous with the holiday season, and what better time to “give someone your heart”? 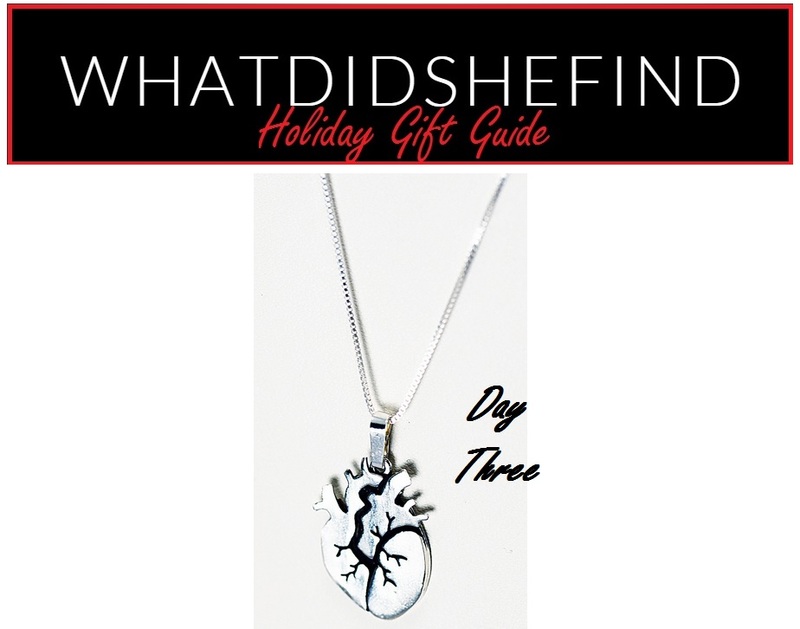 What I love about this heart pendant however, is that it’s not your typical…it’s anatomical! A sterling silver (3/4″) pendant on a 16″ box chain, this necklace is perfect for the person in your life who loves the unique and different (even if that is yourself). Even better? You’ll be showing the love for local talent: this beauty was handcrafted in Toronto, Ontario. You can purchase this “”Zippan-Anatomical Heart” necklace from Cards and Presents (I’ve mentioned them before in this post), for only $50.00. And, if you order before November 30th, (using the coupon code: CANSHIP), you’ll also receive free shipping Canada-wide. Be sure to check out some of their other fun products while you’re there (I’m in love with pretty much everything), as well as their own holiday gift guide. A few years back, after seeing Carrie’s customized name necklace (and my other celebrities alike), I was determined to get one for myself. 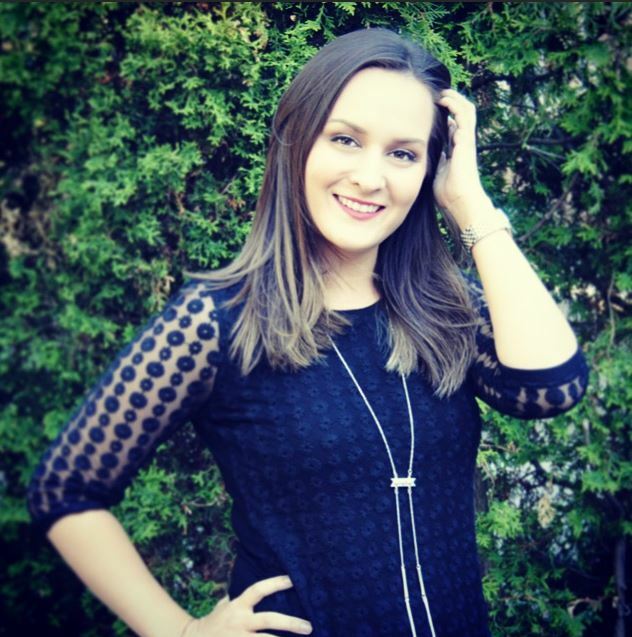 However, after researching and seeing that most were between $200.00-$300.00, I was thrilled to find www.mynamenecklace.com (there’s now even a www.mynamenecklacecanada.com website too). This company offers great quality, beautiful pieces for a fraction of the cost of other vendors. Better yet? They even have free shipping, and often have promo codes to save 10% to 20% off! 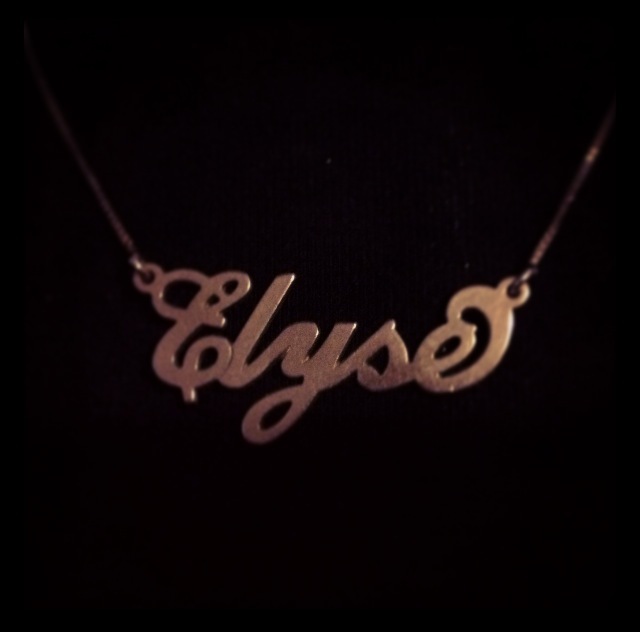 I purchased the “Carrie Style Name Necklace” in sterling silver for less than $40.00. I loved it so much that I went back and purchased another in rose gold. My only piece of advice would be that you should be sure to take it off when showering/bathing and avoid spraying it with perfume, as it can weaken the metal between the letters, causing it to slightly bend or break. A solution to this, if you prefer leaving your jewelry on 24-7, is that they offer “double strength” versions of their necklaces (slightly more expensive). If you treat these necklaces well, they’ll last forever (I’m proof!). See something you love? Use promo code “gift” for 10% off!